Intel® Omni-Path Architecture (Intel® OPA) delivers the performance for today's high performance computing (HPC) workloads and the ability to scale to tens of thousands of nodes—and eventually more—delivering significant price performance advantages compared to Infiniband*. 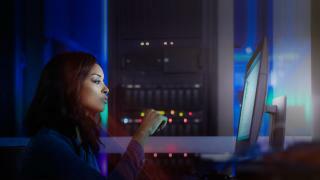 Intel® Omni-Path Architecture provides uncompromising fabric performance with up to 50 percent less infrastructure, providing end users with more compute power within the same cluster budget. Machine Learning time-to-train reduced significantly with scaled clusters connected with Intel® OPA. Intel's Scott Misage chats about Intel's strong results on the November 2017 TOP500 list. 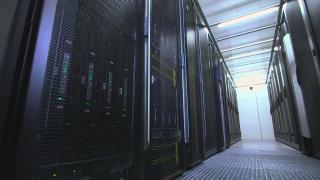 Texas Advanced Computing Center (TACC) doubles high performance computing capacity with Stampede2*. 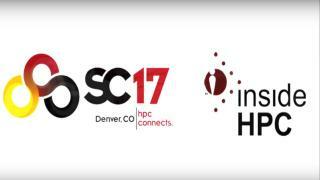 Intel® OPA and Intel® Xeon® processor Scalable family enable breakthrough science at Barcelona Supercomputing Center. The Tokyo Institute of Technology built their Tsubame* 3 supercomputer with HPE Apollo* 8600 blades and Intel® Omni-Path Architecture (Intel® OPA) featuring optimal price/performance, thermal stability, and adaptive routing. Intel® Omni-Path Architecture (Intel® OPA) With Intel® Xeon® Processers Deliver Exceptional Bare-Metal Performance For HPC Cloud Services With Penguin Computing On Demand. In 2016, the University of Colorado Boulder's (CU Boulder) Research Computing Group installed their next-generation system named RMACC Summit to enhance ongoing research and discovery in a variety of areas. RMACC Summit is built on Dell EMC PowerEdge* C6320 Server nodes with Intel® Xeon® processor E5 and E7 family with Intel® Xeon Phi™ processor nodes, all interconnected by Intel® Omni-Path Architecture (Intel® OPA) fabric. RMACC Summit is expected to be nearly 2.5X faster with only one-third the node count and almost half the cores.